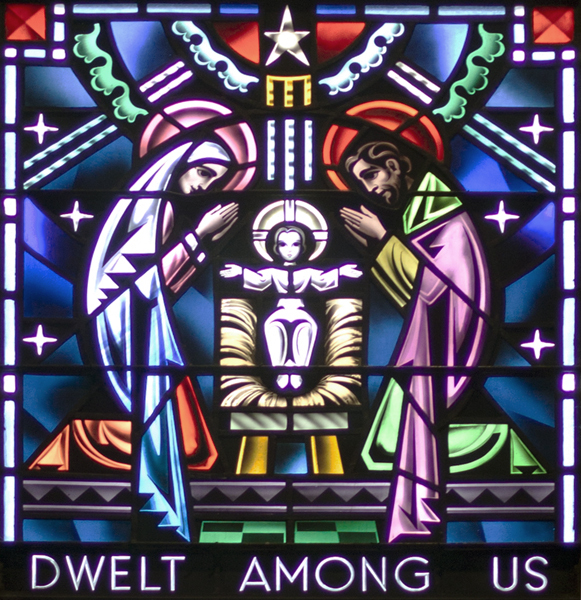 One of four panels in window indicating that Jesus born in Bethlehem also dwells in this Church. Design concepts by Fr. Thomas J. Reardon et al., art created by Leo Cartwright of England and made by Erhard Stoettner of T. C. Esser Company of Milwaukee.